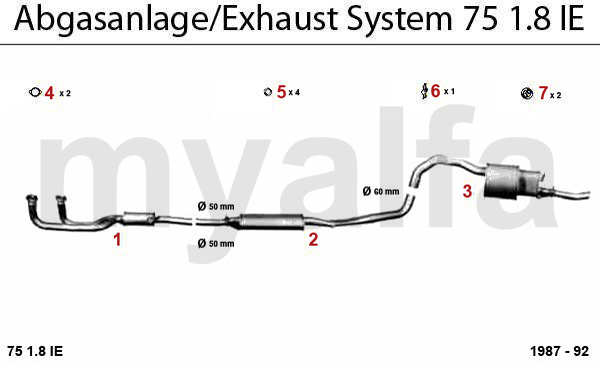 Alfa Romeo ALFA ROMEO 75 EXHAUST SYSTEM 1.8 IE wo. CAT. OE. 60530486 MIDDLE SILENCER 75 wo. CAT.